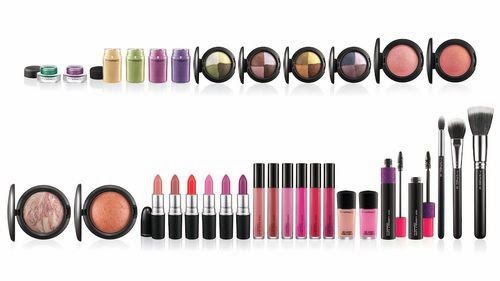 MAC A Fantasy of Flowers Collection! Did you miss out on the legendary MAC Stereo Rose Mineralise Skinfinish? If you have, you're in luck. Rumour has it that the beautiful peachy highlighter/blush will be repromoted in this colour collection. 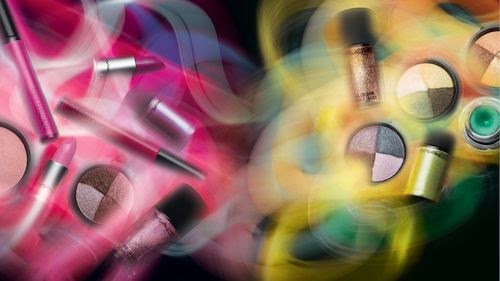 The MAC A Fantasy of Flowers Collection seems to be this spring's big collection, and the photos look very promising. Although the official colour story is still to be released, we can tell that there will be 2 fluidlines in this collection: a jade green hue and a mid-tone purple - click here for a picture of it. There will be 4 pigments: bold yellow, chartreuse green, a Radiant Orchid pinky purple and a bluish or indigo colour. 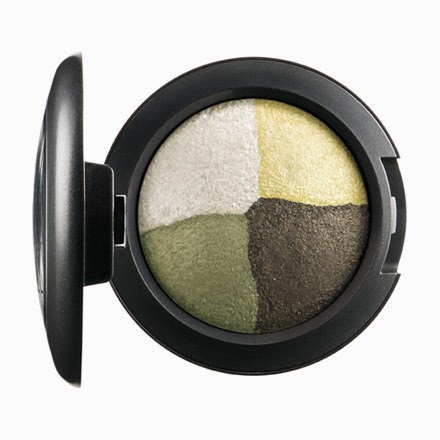 There will be a return of the mineralise eyeshadow quads - I am still loving my MAC Mineralized Eyeshadow Quad in Natural Flare to this date. The ones released here are repromotes from the Asia Exclusive Collection - MAC Mineralize Eyeshadow Quad for Fall 2012. There are two mineralised blushes, a yellow toned pink and a peach shade. Two mineralised skinfinishes seem to be included, one that looks a little like MAC Perfect Topping MSF from a collection that's passed, and one that looks suspiciously like MAC Stereo Rose MSF, one of the most hunted MAC products of all time! There are 6 lipsticks with 6 matching cremesheen glasses, 2 nail polishes, a mascara and 3 duo-fibre brushes. I am excited about this collection, especially with new fluidlines. Eagerly waiting for the official colour story and swatches! For now, here are a few photos from the MAC A Fantasy of Flowers Collection - sourced from Specktra.net and Stacey Loves. Enjoy! I believe the collection launches in mid-February 2014 in the USA - link, and perhaps February or March 2014 in the UK! I'd love to see the close ups of the blushes! Urban Decay Naked 3 Palette Review, Swatches!